Blooming purple violets in a forest. 4k00:10Wild Geraniums. HD 4K, 4096x2160 Pan from left to right on wild geranium flowers. 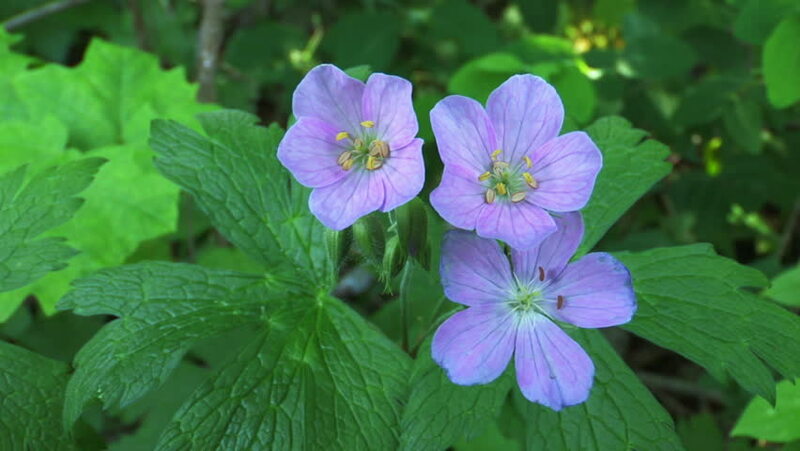 hd00:16Wild Cranesbill in summer in shadow. Geranium pratense close up footage shooting static camera. hd00:11The worker bee eats nectar from the pink dahlia. hd00:20Slow motion of bee working on flower, 240 fps, vibrant colours, close up macro shot.